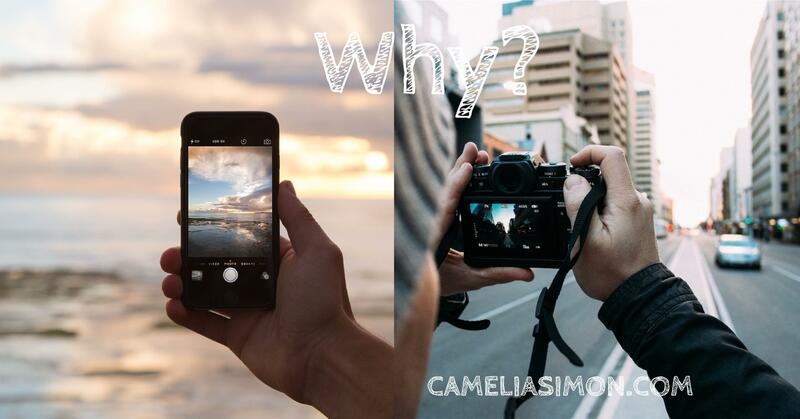 Will Camera Phones Destroy Photography? In any “photo op” moment any more, it is impossible to miss the invasion of the camera phone. Where it used to be easy to tell when a camera was around and if people had them handy, now anyone with a phone could be a clandestine photographer. Even at occasions that used to be ruled by the professional photographer such as weddings and the like, we now see those dozens of hands going up snapping photos with camera phones that seem to dominate the scene. Conventional photography is a highly developed art form and profession. The precision of the equipment and the ability of photographers to deliver a high quality product to their customers is well known and the result of decades of evolution of the craft. But today it is possible for anyone to become an amateur photographer using that tiny cell phone in their pocket or purse. The question needs serious consideration for three audiences. For the professional photographer, is this the end of your profession? Will digital phones wipe out your customer base and make you obsolete? For the aspiring photographer, what about your future? Should you even invest in learning to use the sophisticated equipment that makes professional photography so superior? Why bother if camera phones are going to make it all obsolete? And for you the consumer, can you get the same quality of photographs with using camera phones as you can by hiring a photographer? These are valid questions. It is very common when a new technology begins to make inroads into a profession for the old guard of that profession to feel threatened. It happened when television came along and the media called it the death of radio. It happened when talkies and then color was introduced to movies and television and at each technological improvement in the music world. And with each dire prediction of the demise of an industry, the opposite took place and that industry adjusted, evolved, got better and prospered all the more. Camera phones cannot achieve the same levels of quality. There is a good reason that the professional photographer has invested in the highly sophisticated equipment that he has in his studio and that he or she takes to a shoot. The many years and decades of research have surfaced the problems with quality that primitive equipment could not deal with. Modern photography equipment has precise instrumentation to handle lighting issues to properly frame each photograph and to produce a professional quality outcome that people want from a wedding, a portrait or any kind of professional photography. You can bet that forensic photography, fashion photography and photography for publication will ever be willing to accept the low standards of quality that are the outcome of camera phone pictures. It’s an amateur game. When you see kids holding up their camera phones at a concert to steal a picture, you know that device is not going to result in a professional quality shot. This is especially true in a live setting like a concert where there are myriads of issues such as lighting, visual noise and other problems that have to be overcome with sophisticated instrumentation just not available on a camera phone. Camera phones are an amateur photography device. And they will always occupy that niche. Standards of the final product would be compromised. And high standards of quality are what make professional photography a value to it’s customers. This is not to cast camera phones in a negative light. They have their place and they are great fun. But we in the professional photography world have nothing to fear from the growth of this technology.